The campaign for the control of Vicksburg was one of the most important contests in determining the outcome of the Civil War. As President Abraham Lincoln observed, “Vicksburg is the key. The war can never be brought to a close until that key is in our pocket.” The struggle for Vicksburg lasted more than a year, and when it was over, the outcome of the Civil War appeared more certain. 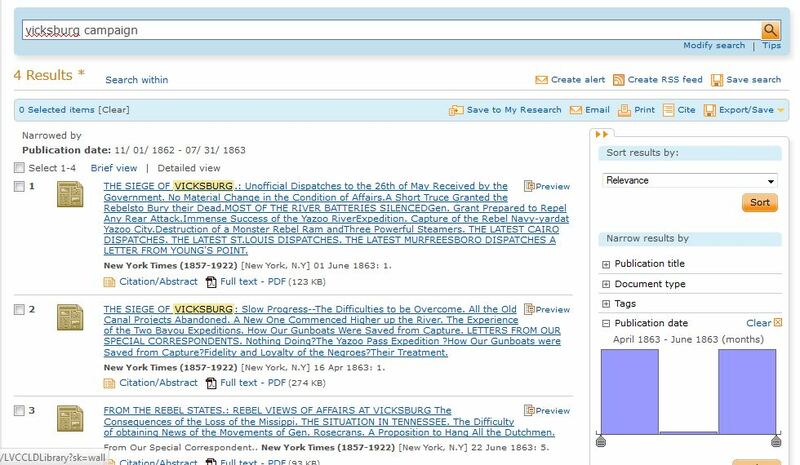 Additional resources about the American Civil War maybe found at Hot Topics – American History. Bullying is all around us, so this October join us in National Bullying Prevention Month. 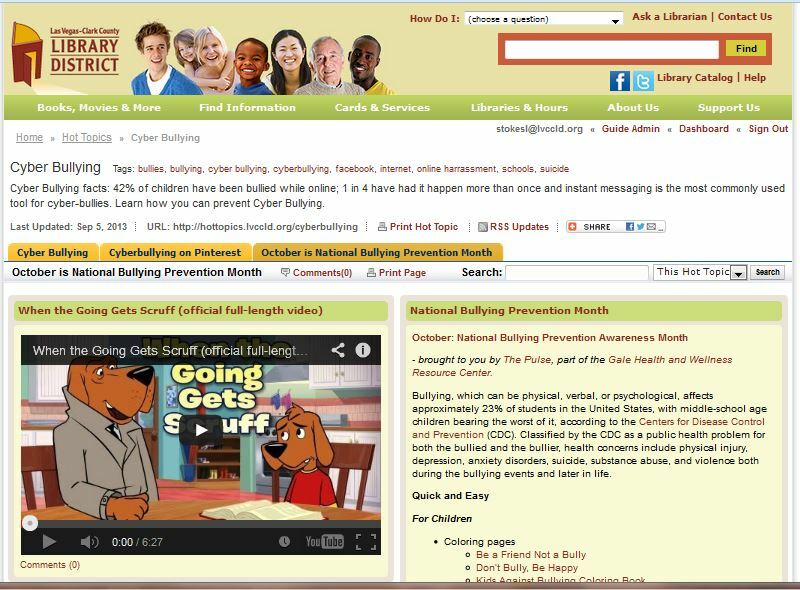 Visit the Hot Topic – Cyber Bullying and check out all the resources about bullying and cyber bullying including the October is National Bullying Prevention Month. There you will find coloring pages, quizzes, games, books, book club ideas, trustworthy websites, fun stuff and cool tools to use with students and adults. Starting October 15, 2013 in Nevada (October 1 for most other states) if you do not have health insurance you will be able to purchase it. So what coverage can you get? Read coverage you’ll get when you enroll in a Marketplace plan. No matter which plan you choose, you’ll get the same set of essential health benefits, like free preventive care and coverage for prescription drugs, emergency care, hospitalization, doctors’ visits, and many other health care services. And these benefits are just the start—plans may offer even more coverage. You’ll see exactly what each plan offers when you compare them in the Marketplace. Explore the Library’s Hot Topic – ObamaCare (ACA.) 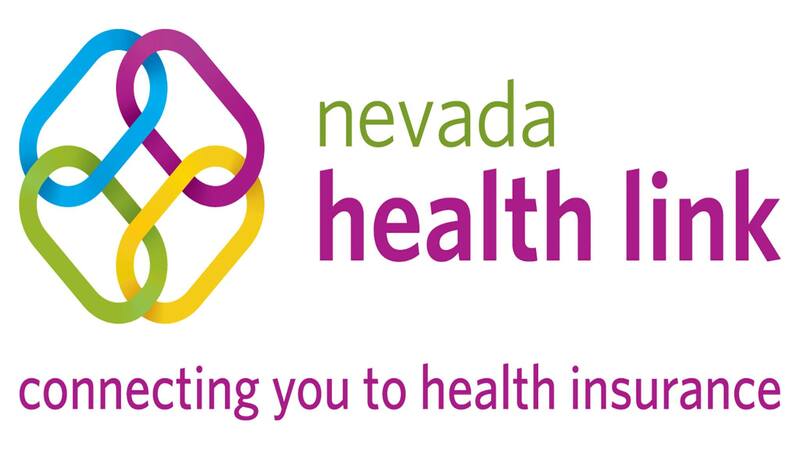 From there select the Nevada Health Link. Use the calculator there to get basic information. Some people are contacting the “navigators” and making appointments to talk with them about their insurance needs. When open enrollment begins October 15 (Nevada), you’ll be ready to apply for health coverage, compare plans side-by-side, and enroll. Enrollment ends March 31, 2014. Coverage starts as soon as January 1, 2014, provided you select a plan early. Waiting may delay when your coverage will start. Homeopathy, also known as homeopathic medicine, is an alternative medical system that was developed in Germany more than 200 years ago. Samuel Hahnemann published his discussions and observations of a healing system he called the law of similars in Organon of the Medical Art (1810). 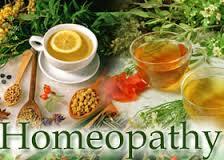 Hans Graham, a homeopathic physician, arrived in the United States in 1825; Constance Hering followed in 1844. Together they founded the American Institute of Homeopathy (AIH), the oldest nationwide medical organization still active in the United States. This fact sheet provides a general overview of homeopathy and suggests sources for additional information. Hot Topic – Health Information – Holistic and Alternative MedicineThe Hot Topic provides access to magazine articles, reference books and general non-fiction books about Holistic and alternative medicine. Got a Nevada History project due soon? Check out the Hot Topic – Nevada History on the Homework Resources page. Got a library card? Use America the Beautiful or CultureGrams for your report. Don’t have a library card? No problem. Select the Fast Facts and Symbols (click on the picture of the big horn sheep, he’ll take you there) or select links from the Nevada History box. Looking for famous Nevadans? Select the Nevadans tab. Need a book about Nevada? Select the Books about Nevada tab. The Discovering American – Nevada eBook is an Always Available eBook, which is great for meeting last minute information needs.